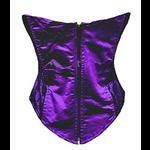 A strapless gothic corset basque made from rich purple satin with black lace covered side panels. 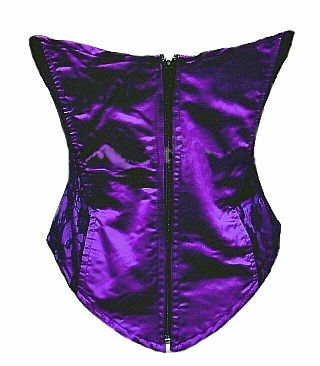 The corset has adjustable metal eyelet and cord lacing with a modesty panel at the front and double boning either side. The back has a zip and has two further bones. A gorgeous corset and lined throughout.